Use Ctrl+F to search for the bike you need or just scroll down through the YFM250 wiring diagrams. They are listed with the oldest bike first (top of page), newer bikes are below. 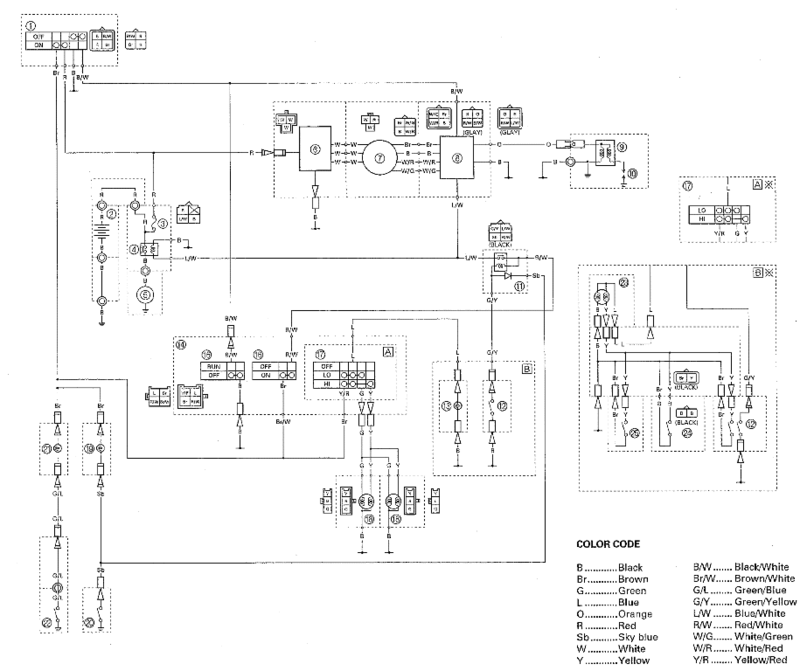 YFM250X wiring diagrams and electrical component list. Electrical components shown in the schematic correspond to the numbered list just above it. For an explanation of the wire color codes, please go to Yamaha Wire Color Code Legend.